Want a great smile? General dentists make up the vast majority of dentists in the United States. 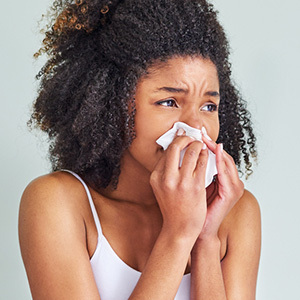 They diagnose, treat, and manage their patient's overall oral healthcare needs. General dentists have a wide array of tools at their disposal for improving your smile. Led by Dr. Paul Dionne, Glen Ridge Dental Arts (located in Montclair, NJ) offers a complete range of dental services. Here are 6 of the most popular general dentistry procedures available today. 1. Dental Implants. Dental implants are the gold standard in the replacement of missing teeth. A dental implant is an artificial tooth root that is inserted into your jawbone to hold a false tooth. There are many advantages to dental implants, including improved speech, easier eating, and improved appearance. Dental implants also stop bone loss and stimulate bone growth. Dental implants exert appropriate, natural forces on the jawbone to keep it healthy. 2. Dentures. A denture is a removable oral appliance that is used to replace missing teeth. A Replacing lost teeth with a denture improves your smile, improves your speech, and helps you chew food. Dentures also help keep facial muscles from sagging, which can make people look older. Dentures can last many years if you take good care of them. With proper care, a denture can last as long 10 years or more. 3. Dental Bonding. Dental bonding can be used for a variety of purposes. For instance, it may be used to repair cavities and fractured teeth. It may also be used to close gaps between teeth and hide tooth discoloration. Sometimes dental bonding is used to make teeth look longer or to change their shape, so that they appear more attractive. Dentists also use bonding to protect the exposed roots of teeth. Bonding can be completed in just one visit. 4. Dental Bridges. 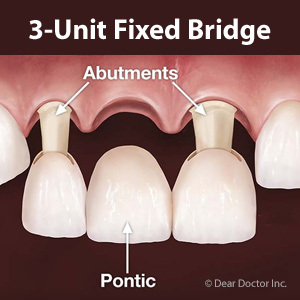 Fixed bridges are dental restorations that close the gaps where teeth are missing. A fixed dental bridge consists of one or more artificial teeth being held in place by crowns that have been cemented onto the adjacent teeth. A dental bridge can restore your smile and improve your appearance. Bridges look great and match natural teeth exceptionally well. A bridge will also improve your ability to chew food and prevent teeth shifting. 5. Teeth Whitening. Professional teeth whitening is one of the easiest ways to improve your overall appearance. Professional teeth whitening erases years of dental stains and the process is completely safe. Take-home teeth whitening involves customized dental trays filled with bleaching gel that you can use at home. Professional teeth whitening produces very effective results. 6. Dental Veneers. Dental veneers can help you achieve a Hollywood smile with no shots, no drilling and no pain! These wafer-thin, customized shells fit over the teeth changing their size, length, and shape. 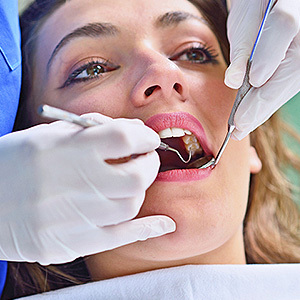 Dental veneers are used to repair teeth that are misaligned, worn-down, crooked, or fractured. It's also possible to fix gapped teeth through the use of dental veneers. 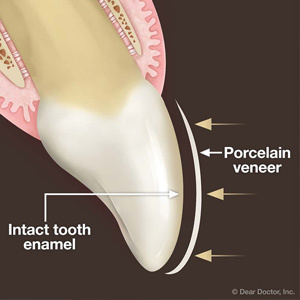 The process of applying dental veneers usually involves two visits to your dentist. Your smile. It defines you. It's a part of your personality. That's why it's important to take great care of your smile by brushing, flossing, and visiting the dentist in Montclair, NJ. If you want to improve your smile, call Glen Ridge Dental Arts at 973-748-7790 today to schedule a dental consultation in Montclair, NJ. We want you to live your best life!